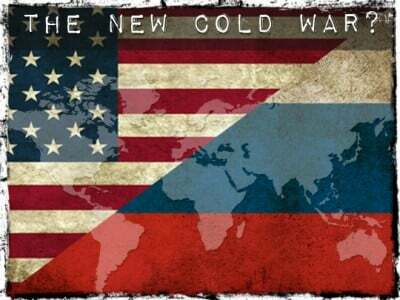 Was the Cold War against communism, or against Russia? Russia was our ally in World War II, and we’d have a Nazi world today if 26 million Russians hadn’t died from Hitler’s bombs and attacks while Russia fought on with courage amidst desperation, finally to crush his regime. But Russia was communist, so the Cold War developed after that alliance (the Allies in WW II) ended. Then, Russia abandoned communism in 1990, and ended its own Warsaw Pact military alliance in 1991, while America’s military alliance NATO expanded right up to Russia’s borders — and yet the West claims that Russia and not NATO are the ‘aggressor’ here? Sorry: I don’t get it. I really do not. Not at all. The Cold War should have ended in 1991 when communism and the Warsaw Pact did, but instead it continued on in the form of NATO (very profitable for what Dwight Eisenhower called “the military-industrial complex” — and its U.S. military is also the employer, direct or indirect, of much of our workforce, especially when arms-manufacturers are counted in). And now Donald Trump is being called by haters-of-Trump (who are almost exclusively lovers-of-Hillary) a U.S. national-security risk because he wants to end the Cold War on the U.S. side — 25 years after it had ended in 1991 on the communist side. Oh, it’s still too soon to do that? Really? On December 12th, appeared a call for a re-do of the election (technically it was a letter to the CIA urging an immediate report to members of the Electoral College on whether Trump is a secret Russian agent or won by means of Russian manipulation of the election), and it was signed by 9 Electoral College electors for Hillary Clinton, and by 1 Electoral College elector for Donald Trump (the latter of whom, Chris Suprun of Texas, had written in the New York Times on December 5th pouring hatred against Trump and lauding George W. Bush, who “led us through the tragic days following the [9/11] attacks. His leadership showed that America was a great nation” — so we won’t need to wonder what type of President he admires). “The bipartisan electors’ letter raises very grave issues involving our national security,” Clinton campaign chair John Podesta said. Democrats (the Party I left during Obama’s second term, as he ratcheted-up fake charges against Russia, and cooperated with the neocons — most of whom then were Republicans — to bring the Cold War back to a boil) are trying every trick they can to un-do the election’s result, and this is merely their latest such tactic. The presumption is that each person who “pledged” to vote there for a particular candidate will write that person’s name onto one of the 538 ballots and hand it in to be counted for that person, once all of the 538 ballots have been collected and the final tally of the 538 is publicly counted in Congress, in Washington DC. Though Suprun, and the nine other signatories (among the 538 Electoral College members), might actually believe that, as their letter says, this is about “a foreign power, namely Russia, [which] acted covertly to interfere in the presidential campaign with the intent of promoting Donald Trump’s candidacy,” it’s really about America — what type of nation we really are, not what type of nation Russia is.